Alumni Guest Designer!! How cool is that? 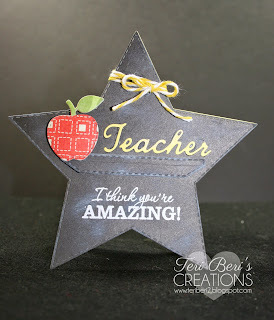 and I love the way the apple and the word "teacher" just sits on it. I distressed the black paper to give it the "chalkboard" appearance. 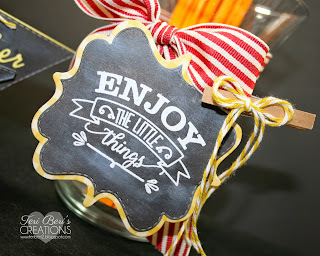 is Enjoy the Little Things Stamp Set also from the new release. 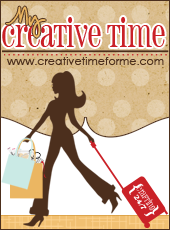 as an Alumni Guest Designer for My Creative Time!! I sure had a great time!! Now I leave you with a few close up pictures of the projects. Congrats on being Miss Emma's guest designer today!! 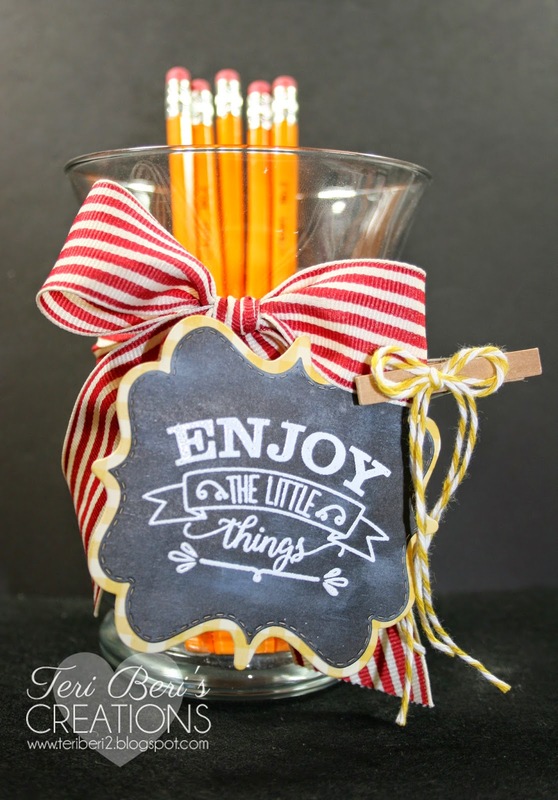 Your Card is so cute....love all your super clever and creative ideas and lots you did come up with. 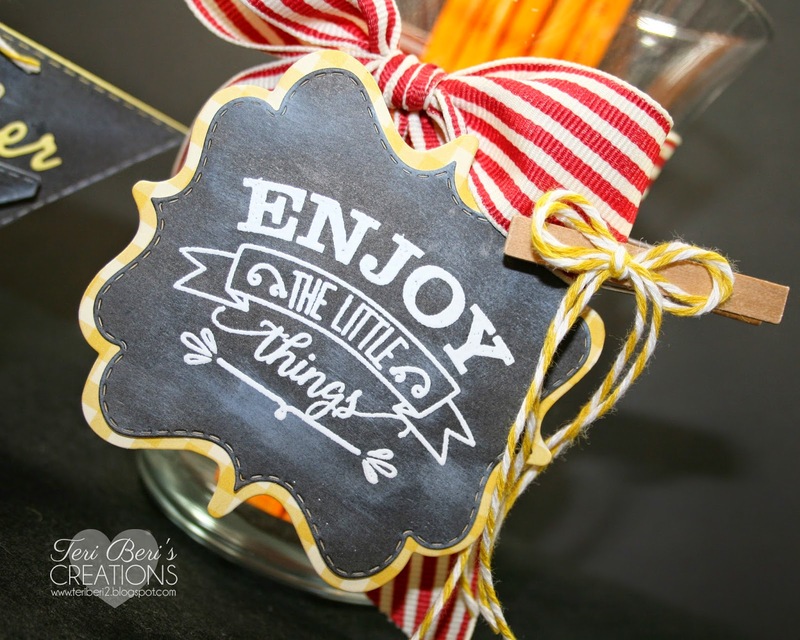 Great idea for achieving your chalkboard also your idea to have the look of a shelf....so cute and your Pencil holder project is darling...Girl you sure shared lots of great way to use Miss Emma's goodies. I miss your videos. Loved what your brought to share today!! YOU ROCK! Very cute project. Love the chalkboard look. You sure did a great job with the chalkboard effect. The distressing is perfect. 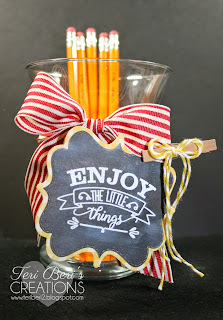 Wonderful card and I like how you reused the glass and attached the XL Label. The teacher will love it. Beautiful job. These are FABULOUS Teri! 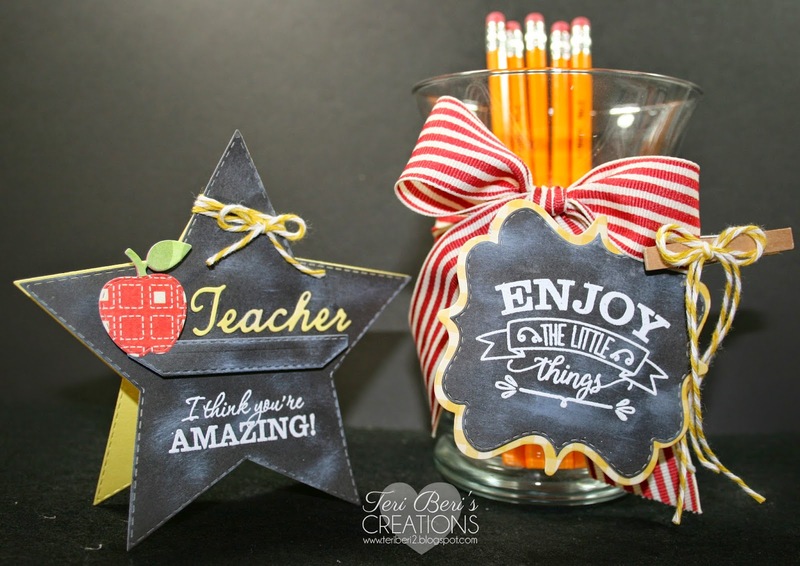 What great Teacher Appreciation ideas! Oh Teri ~ these are simply AMAZING!! LOVE the Thanks idea and oh my the teacher gifts are seriously PERFECT and FUN ~ LOVE them!! BEAUTIFULLY done! So happy to see you back to crafting~ sorry I am a tad behind ~ Hope all is well with you and your family!